Today, Thursday March 27 2014, the Princeton Center for Information Technology Policy aka CITP will presnt a full-day conference Bitcoin and Cryptocurrency Research This conference will bring together experts in both areas to elucidate the underpinnings of Bitcoin and examine key questions about its future. How should we best foster exploration of the design space of Bitcoin-like cryptocurrencies (“altcoins”)? What are the implications of research on markets, economic stability, currencies, and human behavior for the technical system, and vice versa? What would Bitcoin developers and researchers like from each other, and how can we facilitate more collaboration between the two groups? 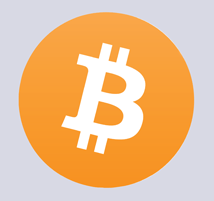 A lunch keynote will be delivered by Bitcoin Lead Developer Gavin Andresen. The entire conference will be webcast live.